A pretty, feminine dress with a full ivory organza tea-length skirt and ivory lace bodice. 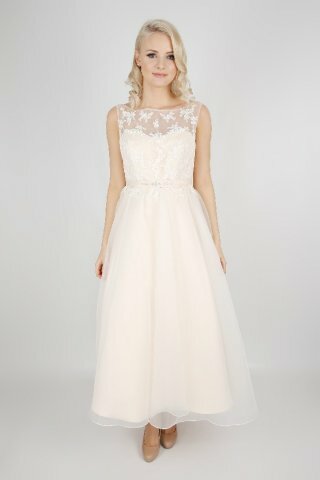 The illusion neckline leads to a V-back finished with satin covered buttons and a satin sash with beading. Available in a full range of colours. Shown in Mint, Champagne and Rose.